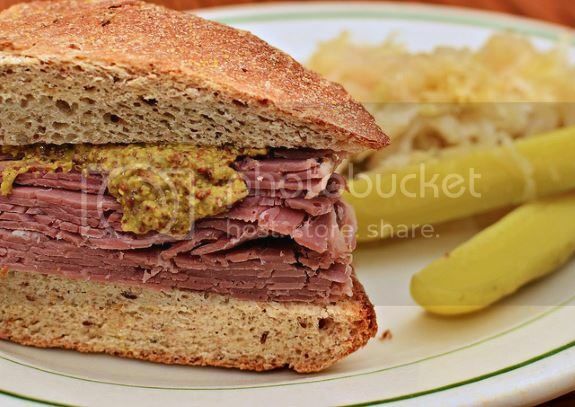 The Temple of Israel's annual New York Style Corned Beef and Pastrami Sandwich Sale comes with coleslaw, mustard, a Guss' (NY) kosher pickle, and a bottle of water available for eat in or pick up. PLEASE NOTE: Must be preordered by March 1. Pick up your order on March 14 from 10am to 3pm. ORDER ONLINE. Corned beef and Pastrami will be available for purchase by the pound as well as Green's Bakery (NY) babka loaves and rugela by the bag. Delivery on March 14 (between 11am and 1pm) will be available for orders of 10 or more sandwiches.